On the whole, I agree with Twitter that tweet counts are not a holistic measurement of actual audience engagement. They aren’t the end-all-be-all to showing your brand’s success on the channel or for the content you’re promoting. Instead, they are part of the puzzle — a piece of engagement. However, if Twitter were really concerned about false success reports, they would’ve long ago taken away follower counts, the ultimate social media vanity metric. Or taken strong measures to block automated accounts and follower buying. Not taking action against shallow metrics, while “protecting” users from share counts, makes their statement ring hollow. About a year ago, Twitter acquired Gnip, an enterprise metrics solution. Gnip mostly looks to combine social data and integrate it into a brand’s customer reputation management software, making for some pretty powerful intelligence about customers and community members. But since it’s focused on an enterprise audience, it’s priced out of the reach of most brands. Plus, the fact that it’s served via API means brands must have the knowledge and development skills/talent in order to really customize the data. For those of you running to your favorite tools — Gnip’s TOS currently forbids the reselling of their data, making it essentially forbidden to integrate into tools, although some companies like Buzzsumo have paid and gotten permission to use the data in their software. The share count removal caused Apple to quietly kill Topsy. 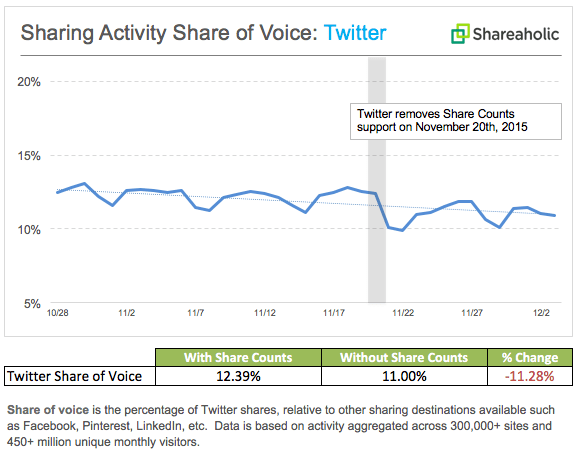 Killing share counts hasn’t been without its damage to Twitter as a brand. 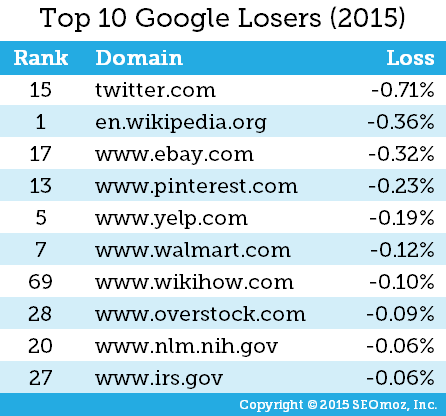 In his post about brands who’s lost and won in Google search, Dr. Pete Meyers notes that Twitter dropped from #6 to #15. That has to hurt their traffic. However, Twitter also made a deal with Google in order to show tweets directly in Google searches, which means Twitter’s brand may not be as damaged as it appears. It’s hard to sell Twitter as a viable place to invest social media time, energy, and money when there’s no easy proof in the pudding. You might have to dig further into your strategy and activities for the answers. The bad news: Almost none of these metrics actually replicate or replace the share count metric. 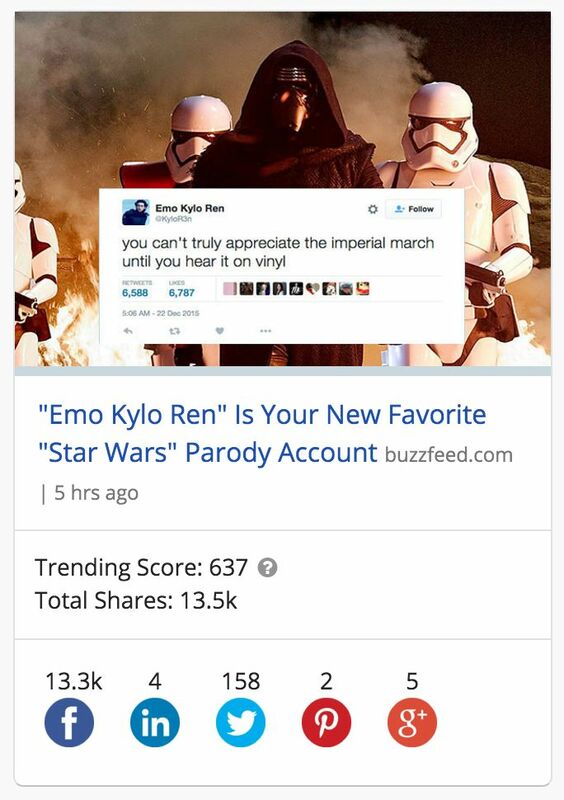 Most of them cover only what you tweet, and they don’t capture the other places your content’s getting shared. Traffic may be an oldie, but it’s a goodie. You should probably already be tracking this. And please don’t just use Google Analytics’ default settings, as they’re probably slightly inaccurate. Some defaults for one of my blogs, since I’m lazy. Instead, make sure you tag what you’re sharing on social media and you’ll be better able to attribute your hard, hard work to the proper channels. Then you can really figure out if Twitter is the channel for your brand’s content (or if you’re using it right). Alternatively, especially if you’re sharing content not on your own site, you can use share and click counting from various URL shortening services. But this will only count toward individual links you share. No, you won’t find the share count here, either. Twitter’s backends are pretty limited to specific stats on individual tweets and some audience demographics. It can be especially challenging if you have multiple accounts and are working with a team. There is the ability to download reporting for further Excel wizardry. Twitter’s engagement metric is “the number of engagements (clicks, retweets, replies, follows, and likes) divided by the total number of impressions.” While this calculation seems like a good idea, it’s not my favorite, given the specific calculation’s hard to scale as you grow your audience. You’re always going to have more lurkers instead of people engaging with your content, and it’s going to take a lot of massaging of metric reporting when you explain how you grew your audience and those numbers went down. Or how the company with 100 followers does way better on Twitter’s engagement metric. 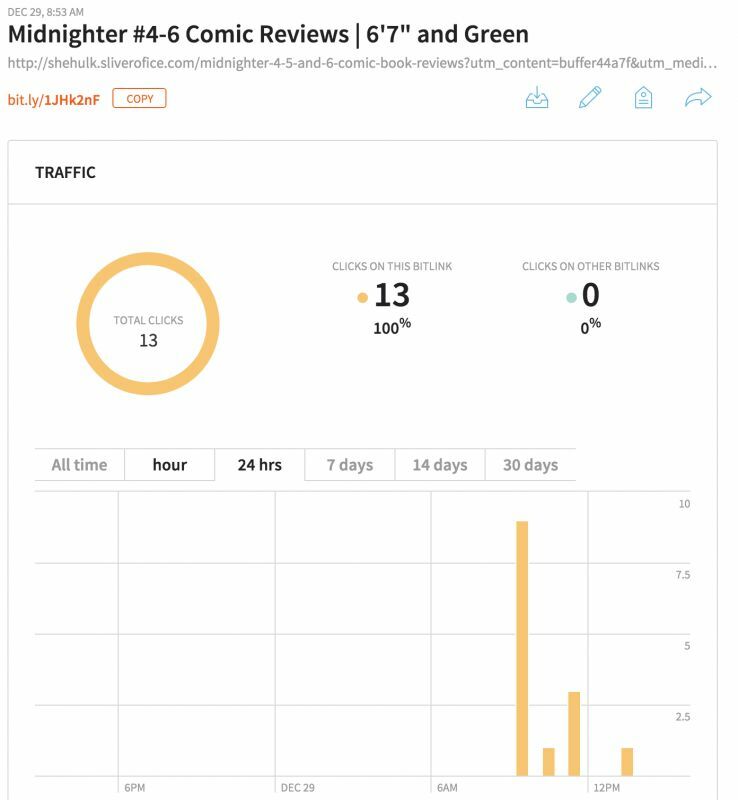 Now these are engagement metrics that you can scale, grow, and compare. 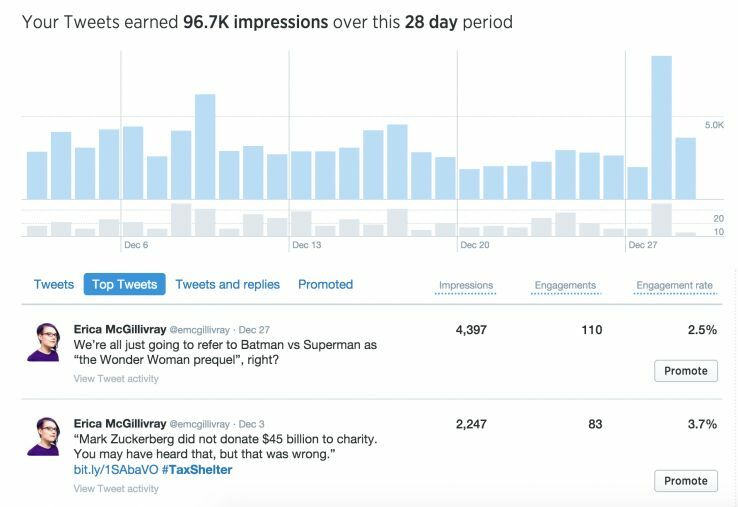 Instead of looking at impressions, TrueSocialMetrics gives conversation, amplification, and applause rates for your social networks. This digs into the type of engagement you’re having. For example, your conversation rate for Twitter is calculated by taking how many comments you got and dividing it by how many times you tweeted. Shortly after the removal of share counts was announced, Twitcount popped up. It works by installing their share counters on your site, where it then can surface historical totals. Twitcount’s numbers only start counting the day you install the code and the button to your site. There are limitations, since they use Twitter’s API, and these limitations may cause data inaccuracies. I haven’t used their solution, but if you have, let us know in the comments how it went! Again, this only counts for your individual tweet’s metrics, and Buffer only grabs metrics on tweets sent out via their platform. Buffer’s reach metric is similar to what many traditional advertisers and people in public relations are used to, and it is similar to Twitter’s general impressions metric. 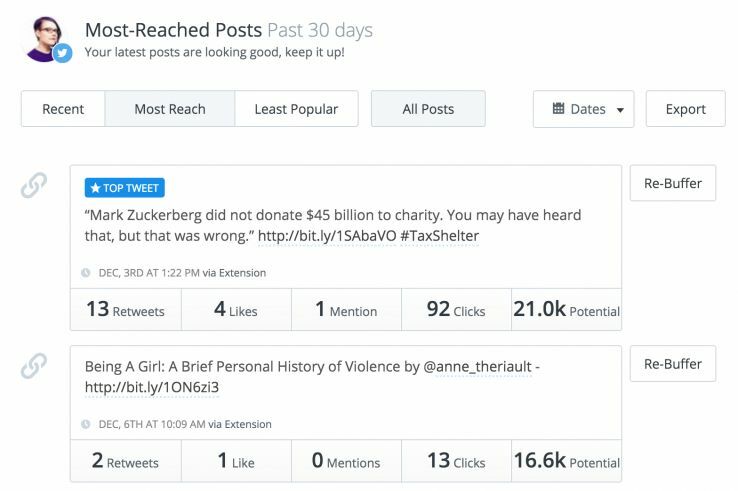 Reach looks at how far your tweet has possibly gone due to size of the retweeter’s audience. Like most analytic tools, you can export the metrics and play with them in Excel. Or you can pay for Buffer’s business analytics, which runs between $50–$250/month. 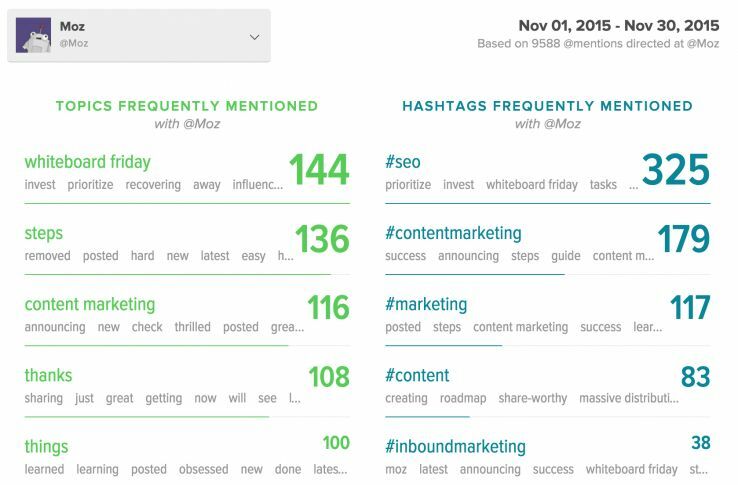 SproutSocial’s trends report is unique in that it pulls both the topics and hashtags most associated with your brand and the engagement around those. 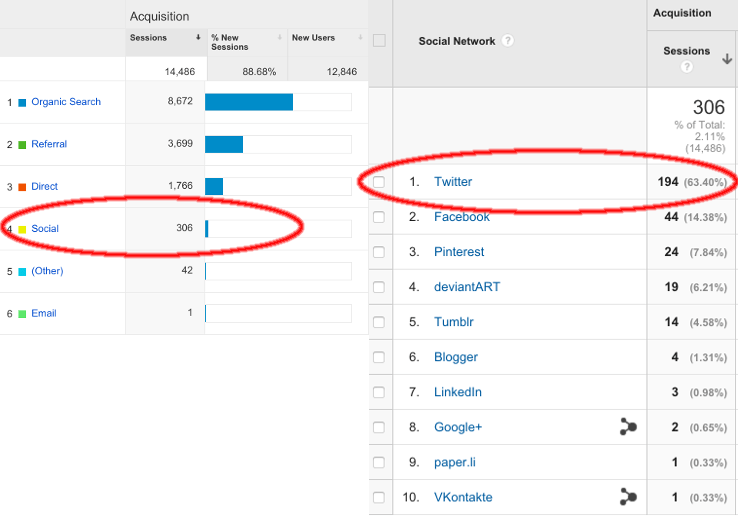 Our friends at Buzzsumo can be used as a Topsy topic replacement and share counter. They did a great write-up on how to use their tool for keyword research. They are providing share counts from Gnip’s data. I’m unsure if this is Buzzsumo’s or Gnip’s data issue. It’s also possibly that there are limits on the data, especially since Moz has large numbers of followers and gets large amounts of shares on our posts. While Fresh Web Explorer‘s index only covers recent data — the tool’s main function being to find recent mentions of keywords around the web a la Google Alerts — it can be helpful if you’re running a campaign and relying on instant data no older than a month. Mention Authority does include social data. (Sorry, the full formula involved with creating the score is one of Moz’s few trade secrets.) What’s nice about this score is that it’s very analogous across different disciplines, especially publicity campaigns, and can serve as a holistic alternative. Stealing this one from our friends at Buffer, but if you’re looking to get social proof back for people visiting your post, embedded tweets can work well. This allows others to see that your tweet about the post was successful, perhaps choosing to retweet and share with their audience. Obviously, this won’t capture your goals to hand to a boss. But this will display some success and provide an easy share option for people to retweet your brand. Twitter may not relent fully, but it may cheapen the product through Gnip. Alternatively, it may release some kind of “sample” share count metric instead. Serving up share count data on all links certainly costs a lot of money from a technical side. I’m sure this removal decision was reached with a “here’s how much money we’ll save” attached to it. For a while, Twitter focused itself on being a breaking news business. At SMX East in 2013, Twitter’s Richard Alfonsi spoke about Twitter being in competition with media and journalism and being a second screen while consuming other media. Lack of share counts, however, make it hard for companies to prove direct value. (Though I’m sure there are many advertisers wanting only lead generation and direct sales from the platform.) Small businesses, who can’t easily prove other value, aren’t going to see an easy investment in the platform. No doubt Twitter shareholders are on edge when stock prices went down and the platform added a net of 0 new users in Q4 of 2015. Is the removal of share counts something in the long list of reasons why Twitter didn’t grow in Q4? Twitter has made some big revenue and shipping promises to shareholders in response. When Google rolled out (not provided), every SEO software company clamored to make tools to get around it. Since Gnip data is so expensive, it’s pretty impractical for most companies. The only way to actually build this tool would be to scrape all of Twitter, which has many perils. Companies like Hootsuite, Buffer, and SproutSocial are the best set up to do it more easily, but they may not want to anger Twitter. What are your predictions for Twitter’s future without share counts? Did you use the share counts for your brand, and how did you use them? What will you be using instead? Header image by MKH Marketing.